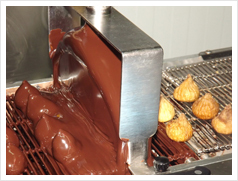 A great combination between dried figs “Calabacita”, almonds praline and Belgian dark chocolate of the highest quality (71,5% cacao). The best and most famous traditional fig bombón of Extremadura. 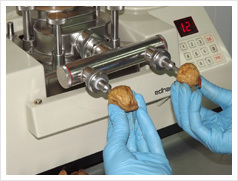 Ecoficus produces the fig bombón with dried figs from its own fields, selected one by one, for you. 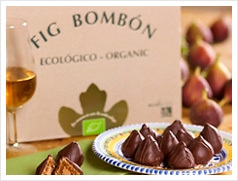 Fig Bombón is the most known and singular artisan convectionery product of Extremadura gastronomy. 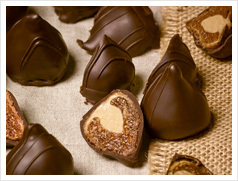 Ideal to surprise and share in your most intimate evenings.